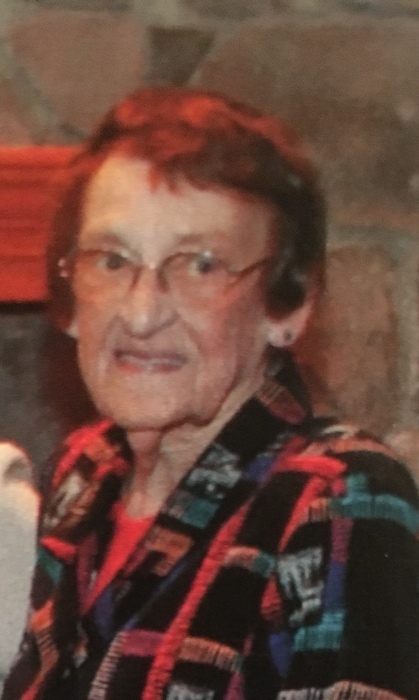 Obituary for Ellen (Burns) Petrone | Bermingham Funeral Home, Inc.
Lafayette: Ellen Petrone (nee Burns) passed away in Newton on Tuesday, April 9, 2019 with her family at her side. She was 86 years of age. Ellen was born and raised in Wilkes-Barre, PA and attended nursing school in the local area. She lived in Parsippany while serving as a Registered Nurse at Morristown Hospital and moved to Lafayette in 1987. After working at the hospital, Mrs. Petrone was a school nurse in the Parsippany school system from 1976 to her retirement in 1992. Ellen was an active member in the Lafayette Senior Association and attended St. Joseph’s of Newton. Ellen traveled extensively with her husband and later with her friends to many locations worldwide. Predeceased by her loving husband Patrick in 1994. Jodi Petrone-Ahlers and husband Bill of Hardwick. Patrick Petrone and wife Lisa of Brielle. MaryEllen Tribby and husband Patrick of Boca Raton, FL. Carmine Petrone and wife Dona of Little Egg Harbor. 9 Beloved Grandchildren: Patrick Petrone and wife Valerie. Bryan Petrone and wife Nikki. Elyse Bilancia and husband Chris. Lauren Blackburn and husband Stephen. Also survived by 5 cherished Great Grandchildren: Patrick Petrone. Baby Bilancia on the way. Visitation will be held 9-10:30am on Saturday, April 13, 2019 at the Bermingham Funeral Home, 216 S. Main St., Wharton. A funeral service will be held following the visitation at the funeral home.